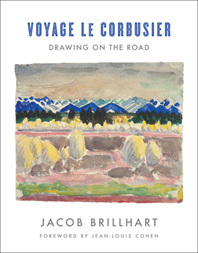 Voyage Le Corbusier collects for the first time a compendium of sketchbook drawings and watercolors of Charles-Edouard Jeanneret—a young student who would go onto become the singularly influential modernist architect Le Corbusier. Between 1907 and 1911, Jeanneret traveled throughout Europe and the Mediterranean, carrying an array of drawing supplies and documenting all that he saw: classical ruins, details of interiors, vibrant landscapes, and the people and objects that populated them. Jacob Brillhart excavates the "visual thinking" of the twentieth century's pioneer architect, reproducing a selection of 175 drawings from these early sketchbooks. For Brillhart, the images themselves are the best argument for the importance of seeing and "drawing in order to see" —not only because they show the roots of Le Corbusier's later practice but also for their relevance to the study of design today, which tends to jettison drawing instruction in favor of computer-based modeling software. Brillhart traces Jeanneret's steps, revisiting architectural history while providing a physical and intellectual road map for students, travelers, and lovers of art and architecture. 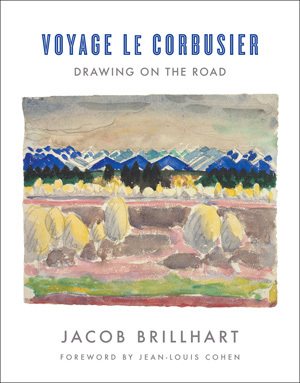 Featuring dozens of never-before-published drawings and others reproduced here for the first time in full color or available only in disparate sources, Voyage Le Corbusier is at once a critical introduction to Jeanneret's budding practice and a richly detailed visual travelogue. Brillhart ably guides us through Jeanneret's itinerary and, at the same time, the development of his compositional abilities, the sharpening of his eye, and the widening of his incomparable artistic sensibility.